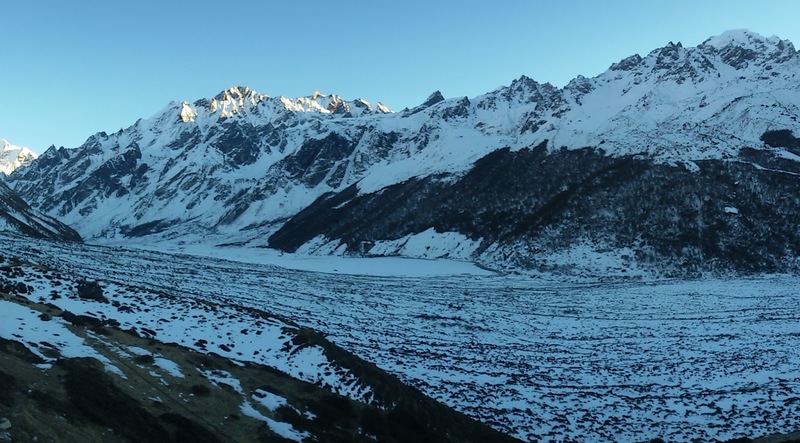 A trek up into the Langtang valley has to be one of the most rewarding of the short treks available anywhere in Nepal. The east west running valley is the site of some spectacular alpine scenery as well as being a great place to meet the distinctive people of the Tamang community.The valley itself is a rich alpine valley that forms part of the Central Nepal Himalaya, north of Kathmandu it was once one of Nepal’s Hidden Valleys.A journey up into the Langtang Valley to the high glaciers is very special indeed. The region has fewer tourists than either the Annapurna or Everest regions and offers a wilderness experience and an opportunity to experience the culture of the local Tamang people, the main ethnic group. The Tamang people follow a lot of Tibetan practices as only twenty miles separates them from Tibet border. There are some very interesting local settlements and a wide variety of wildlife and bird life along the way. Trekking into the high valley takes you almost to the base of The Nepal Himalaya giving you a “high mountain feel” without the trek being too hard. There is also an extensive glacier system in the valley's upper reaches to be explored. The peaks of Nepal offer a great opportunity for adventure and exploration.The Royalty fees are also a lot lower than the higher peaks.The Nepal Mountaineering Association (NMA) has classified 33 peaks as trekking peaks in Nepal, they range from 5500 mtrs to 6500mtrs and they are divided into expedition peaks group A and Group B. 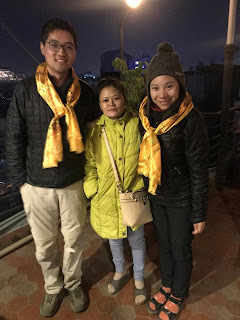 The royalty received by the Nepali Government is regulated by altitude and the season you are planning to climb Nepalese Mountain Dreams and Journeys pvt. ltd. arranges peak expeditions to all the registered peaks in Nepal. In spite of the fact that the altitude of the peaks is below 6500m,some of them are very challenging. The use of ropes and other mountaineering equipment is essential. We strongly recommended that climbers having the technical know-how and experience on snow and ice climbing before attempting a serious peak climb. The few easier peaks such as Mera Peak (6476m) and Island Peak are possible without any climbing experience but you do need to be fit. All peaks are monitored by Nepal Mountaineering Association and are subject to the rules & regulations formulated by the Association. If you are planning to climb a peak you should seriously consider that enough time is built into the itinerary for acclimatization and it is also worth considering adding a couple of days to any peak trekking itinerary for any bad weather conditions. Nepalese Mountain Dreams and Journeys pvt. 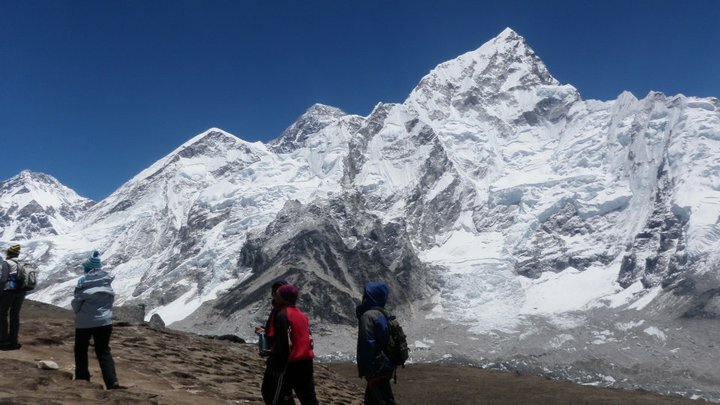 ltd. can help you with the planning and itinerary provide you with highly experienced mountain Sherpas and arrange all the logistical support for your expedition. Island peak is very famous and popular trekking Peak in Nepal, it is situated in the Everest Region and a climb of Island Peak can be combined easily with a trek to Everest Base Camp. The peak was first climbed in 1953 by a British expedition team as training for the ascent on Mt. Everest. The peak is a part of the south ridge of Lhotse Shar and the main bulk of Island forms a semicircle of cliffs that rise to the north of the summits of Nuptse, Lhotse, and Lhotse Shar.The climb is not too technical but still provides a good challenge and you do need to be fit. The majestic beauty and accessibility of the Annapurna region has made it the most widely visited trekking region anywhere in the Himalayas. Approximately 60% of trekkers visiting Nepal choose to trek here. Many trails are based on the ancient salt trading routes between Nepal and Tibet that have been there for centuries and from these old routes new trekking trails have been established to fully introduce the beauty of the region to the trekking fraternity that has grown up over the past thirty years.The trail along the Kali Gandaki Valley the deepest gorge in the world is perhaps the best example of a true trade trail.The wealth of well-established trading and trekking lodges along with good road and air links with Kathmandu, have also been instrumental in the great popularity of trekking here. The region is situated north of the beautiful lakeside town of Pokhara 200 kms west of Kathmandu. Pokhara is reached by either six hours by road or a twenty-five minute flight. In a land that is already so varied, Annapurna stands out as the best example. It is in fact the most diverse protected area on earth. Nowhere else in Nepal can you experience such a wide range of human culture and geography where seven ethnic groups live and work; from Hindu farmers in the lower reaches of the region to Tibetan Lamas in the Manang Valley and beyond almost on the border of Tibet. The region contains mountains of over 8000 mtrs and the deepest river gorge in the world. Due to the extremes of elevation there is a remarkable diversity of flora and fauna; from sub tropical lowland forests of oak, bamboo and rhododendron in the south to the high alpine meadows and windswept plateaus in the northern regions. The Grey Languor monkey and a variety of cats and rodents are found at lower levels. The elusive Snow Leopard and The Himalayan Black Bear inhabit the higher altitudes (4500mtrs +); Over 400 species of birds have been recorded in the region. 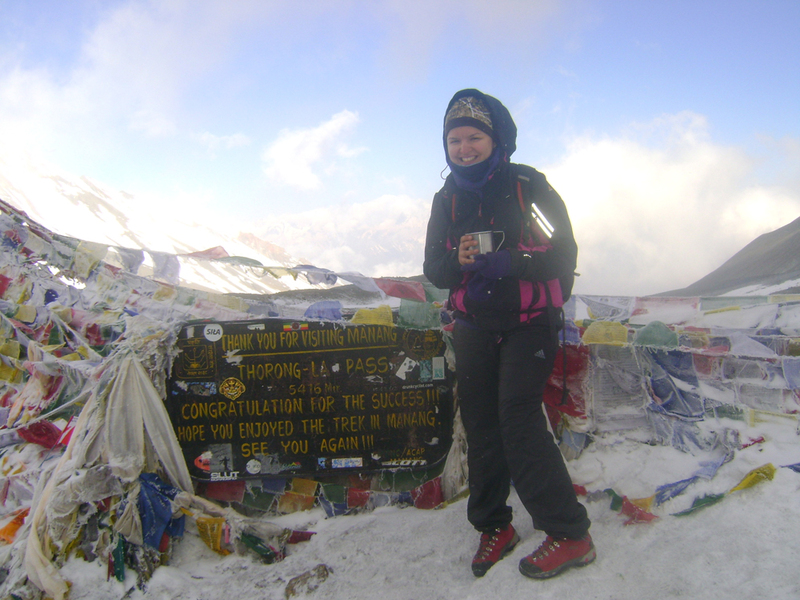 Trekking in Nepal is one of the most rewarding experiences you are ever likely to have. What could be better than trekking through the beautiful pristine mountain scenery in the fresh air with the birds and the animals for company along with the wonderful people and culture you meet along the way. Nepal is the world of mountains the mighty Himalayas can't be matched and it would be difficult to find so many extremely friendly mountain people who are only too willing to share their experiences with you. Trekking in Nepal has its own natural rhythm, most people are up early to watch the sunrise breaking over the mountains. After breakfast and packing your bagsit is sunrise over the mountains, then after breakfast and after packing their personal possessions it is time to set off.The day normally divides into two, three hours or so in the morning before taking lunch, followed by a further three or so hours in the afternoon. On the more popular treks there are places to take tea breaks as you go in more remote areas where it is necessary to camp, we stop for morning and afternoon tea. Our trekking team carry all your gear you are only expected to carry your day pack with personal items. On reaching your lodge ‘ or’ camp site it is time to relax and reflect on the day, perhaps check your photos or fill in your diary before an evening meal and more often than not an early night. Nepalese Mountain Dreams and Journeys pvt . 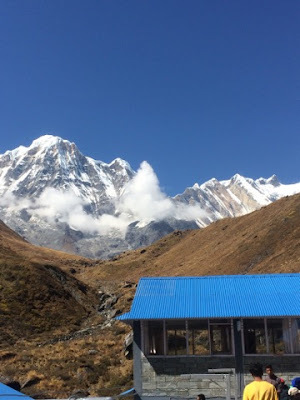 ltd. offer two types of trek either Tea House/Lodge treks on the more popular trails, where you stay at lodges along the way, to full camping treks where just about everything is provided. This includes a dining tent, most or all the food needed for the trek, (depending on trekking area,) tents, mattresses, chairs, tables and toilet tent etc. Whatever type of trekking you choose you are provided with three meals by our friendly cook team.